To my abject horror there was no “year in review” for 3D printing. I decided to right this wrong and produce this one. I’ve tried to be as unbiased and inclusive as possible. If I’ve missed something, feel free to point it out in the comments and I’ll add it. 2010 was a miraculous year in 3D printing. 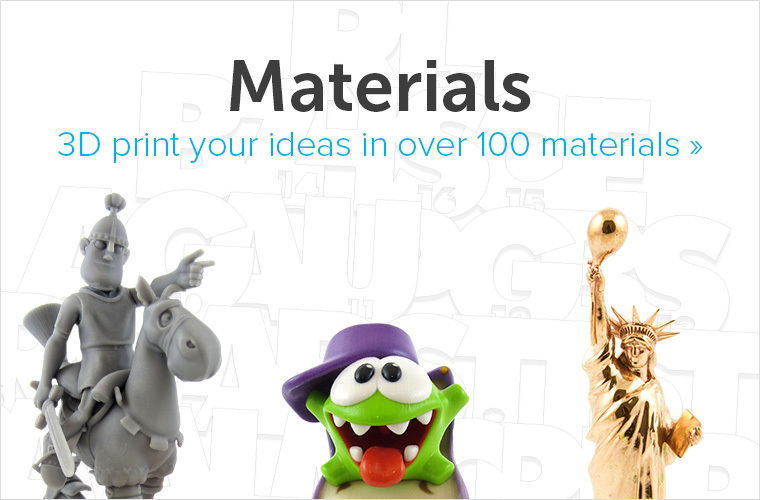 Thousands of people have bought and made RepRaps and Makerbots en tens of thousands use 3D printing services such as i.materialise to 3D print their own creations. 3D printing is appearing on TV, in newspapers and magazines for the first time. Millions of people have learned about the technology this year as media coverage and demonstrations at fairs have reached them. This is the ”year of acquaintance”, where the world finally meets this 25 year old technology. Your geeky uncle and that quicky designer sitting at the Starbucks have both heard about it and explained the technology at parties. 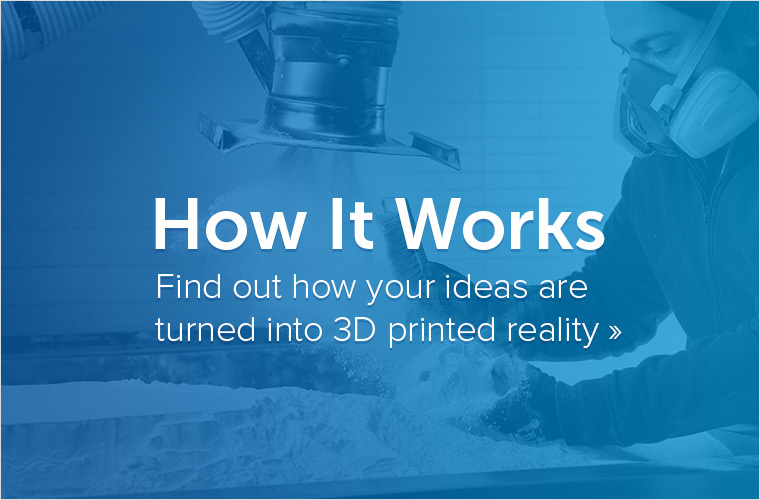 Now its up to us to deepen people’s involvement in 3D printing by letting them make. The other day it finally hit me, “this is happening & this is irreversable.” 2010 is the year when the world learned about 3D printing, I want to wish you all a great 2011 and hope that 2011 will be the year when the world tries to 3D print. January 5th Zcorp starts distributing Envisiontec’s Ultra 3D printer in the US. January 19th HP & Stratasys sign a deal whereby Stratasys will manufacture HP brand 3D printers. This marks the first involvement of a large consumer electronics company in desktop 3D printers. January 27th Zcorp appears on TV show Extreme Makeover Home Edition. 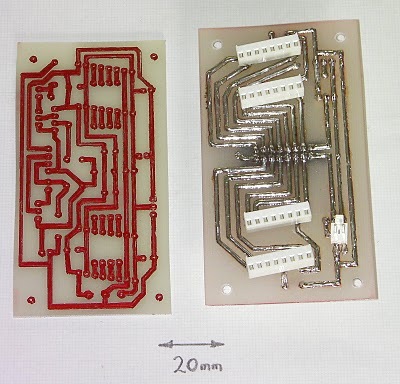 February 3rd RepRap starts work on developing the “mini-me” a new 3D printer that later will be called the Huxley. The Huxley is a smaller, cheaper and faster 3D printer than the Mendel. 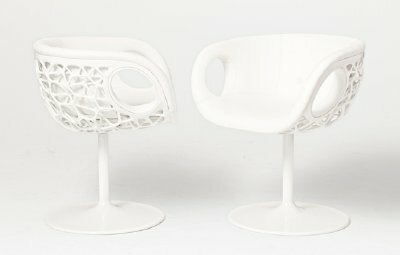 February 10th FOC, Freedom of Creation, creates custom 3D printed chairs for a super yacht. 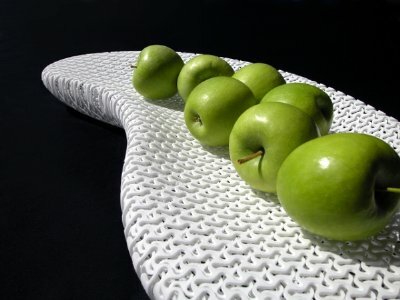 February 16th Boing Boing, a huge supporter of 3D printing, writes about Belgian design duo Unfold’s 3D ceramic printing process. March 15th Apple gets exclusivity to sell a model of the FOC and Freshfiber iPhone cases. 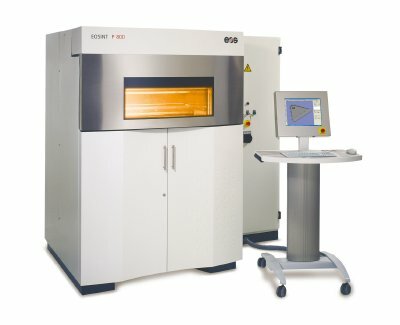 March 30th Royal Plastic becomes the first customer in the US for EOS’ huge P800 Selective Laser Sintering machine. Weighing in at over 2000 kilos this marks a push by EOS into the US market. May 1st McGill University researchers learn how to 3D print ice. May 25th EOS displays and shows off stainless-steel prototypes for customized spinal surgical instruments, Cobalt chrome replacement knee joint prototypes, end-product dental copings and bridges and Titanium dental implants. June 8th Materialise creates a full size King Tut replica for National Geographic. June 21st RepRap contributor Erik de Bruijn launches Ultimaker, a 3D printing kit with a large 21cm by 21cm build volume. 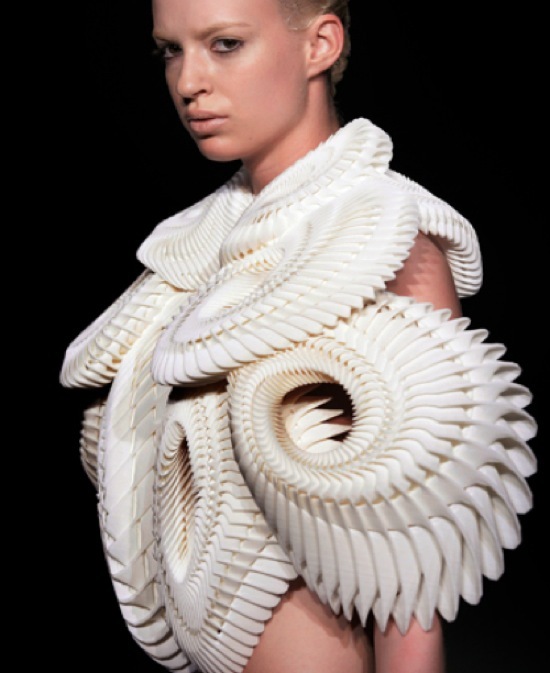 July 15th .MGX designers Iris van Herpen & Daniel Widrig win big at Amsterdam Fashion week with their 3D printed fashion. July 21st the Chinese UP! Personal Portable 3D printer launches. August 2nd Materialise manufactures the trophies for the Hungary Formula 1 grand prix. September 11th Dr. Adrian Bowyer shows us how he’s making RepRap circuits that are actually 3D printed by the RepRap itself. September 13th A New York Times spread called “3D printing spurs a manufacturing revolution” features designer Scott Summit. 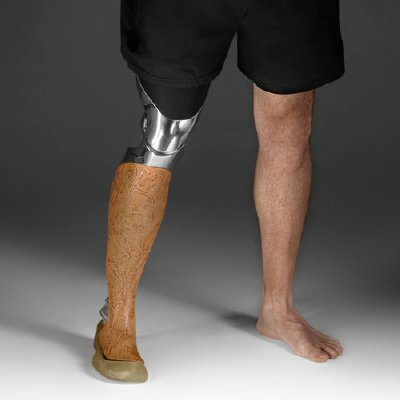 His company Bespoke Innovations makes beautiful custom engineered prosthetic legs and uses 3D printing. 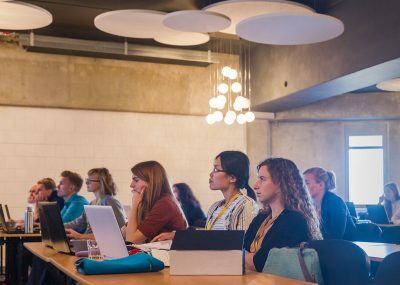 In August Scott’s lecture on The Future of 3D printing was already a huge success. September 16th DHUB’s video FullPrint3D becomes a sudden web hit. September 25th Makerbot releases its Thing-O-Matic 3D printer. The Thing-o-matic can sequentially print items automatically. October 5th 3D Systems Acquires Bits From Bytes. The RapMan 3D printed kits company adds yet another offering to 3D Systems expanding product portfolio. October 13th the FrisMe 3D printed Frisbee flies round the internets. October 20th Materialise releases Magics 15, right in time for the 15th year of the 3D printing software suite’s existence. 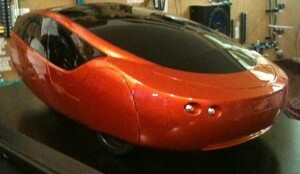 October 25th Stratasys co-develops the Urbee world’s first 3D printed production car. November 2nd works by design label .MGX are added to the Smithsonian’s Cooper Hewitt design museum in New York. November 4th US TV show bones airs an episode featuring 3D printing. November 17th Laser cutting & making service Ponoko gets into the 3D printing business with a partnership with CloudFab. November 23rd .MGX opens its flagship store in Brussels, the world’s first store for 3D printed goods. December 2nd i.materialise launches the customized Appear lamp. December 4th Objet launches two new desktop 3D printers the Objet24 and Objet30. December 4th 3D Systems’ business unit Bits From Bytes launches the Rap Chick a 3D printing kit aimed at women. December 17th 3D printing materials savant Mark Ganter and his research team at the Solheim lab introduce glazed gypsum as a 3D printing material. 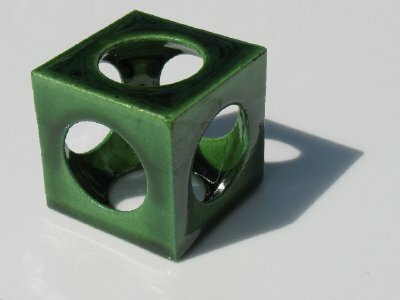 Previously the Open3DP team also came up with several inexpensive materials and a glass 3D printing process called vitraglyphic. And that’s it – this was the world of 3D printing in 2010. Do you want to appear in this list in the upcoming years? 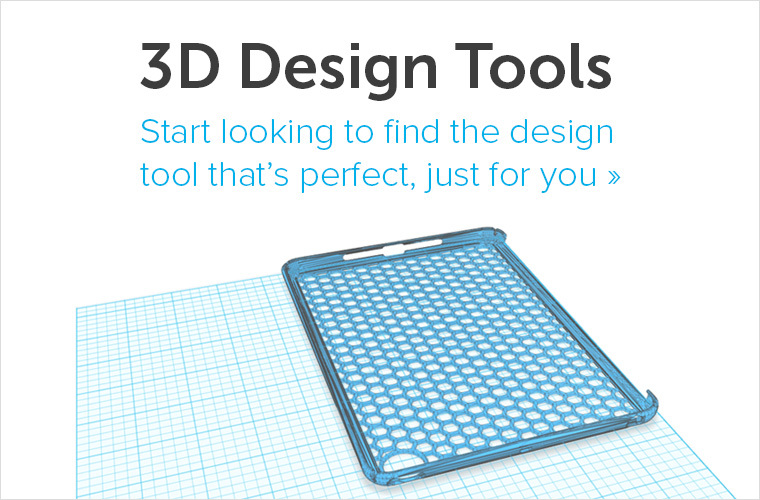 Just upload your 3D model here and order your high quality 3D print in many many many different available materials. Maybe your 3D print has was it takes to make history!